He notes that at the time he encountered the character he and Stephen were about the same age and describes how he identified his own struggles as a young Southerner with those Dedalus experiences as a young Irishman. He goes on to discuss how the figure of Dedalus has become iconic and is used repeatedly to help discuss the struggles of young artistic spirits. 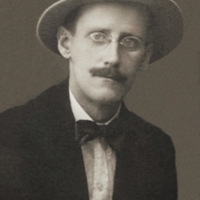 Beyond personally identifying with one of Joyce’s most well-known character, William Ferris points out how “Joyce keeps renewing his presence in our lives.” The continued circulation and appreciation of literature helps us draw parallels between our experiences and concerns and those of others, across time, national boundaries, and other differences.